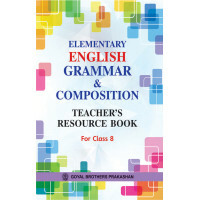 This workbook supplements the textbook Learning Elementary Chemistry for Class 8. In this workbook, thought provoking questions have been framed to cover all the topics that are in the textbook. The sequence of the chapters is same as in the textbook. This will help students in revising and understanding the concept learnt in the text book. Core Laboratory Manual Of Chemistry For Class XII..